Are you Stressed in your life? Did you know it has been found that fidget spinner toys can provide a sense of comfort and peace in stressful situations? They can also provide a way to concentrate during a dull meeting. Presenting the first time ever, one of a kind the best Fidget Spinner which gives you the coolness you were looking and the thrill you were seeking - Automatic Flying Boomerang Fidget Spinner is a Technological Masterclass due to it's Hovering function. Because our fidget toys fit in your hand and are made with the best materials, you won’t ever have to deal with a lack of tactile stimulation again. This product come in several cool colors. We have something that will fit your personal image and look cool while you use it. This is a revolutionized version of the fidget spinner. It is the outcome of a series of building and designed with the purpose of creating something more than a toy. It is the next hype object. Automatic Flying Boomerang Fidget Spinner, the electric fidget that hovers in the air. It will not get lost because of the boomerang effect, it will fly right into your hands. 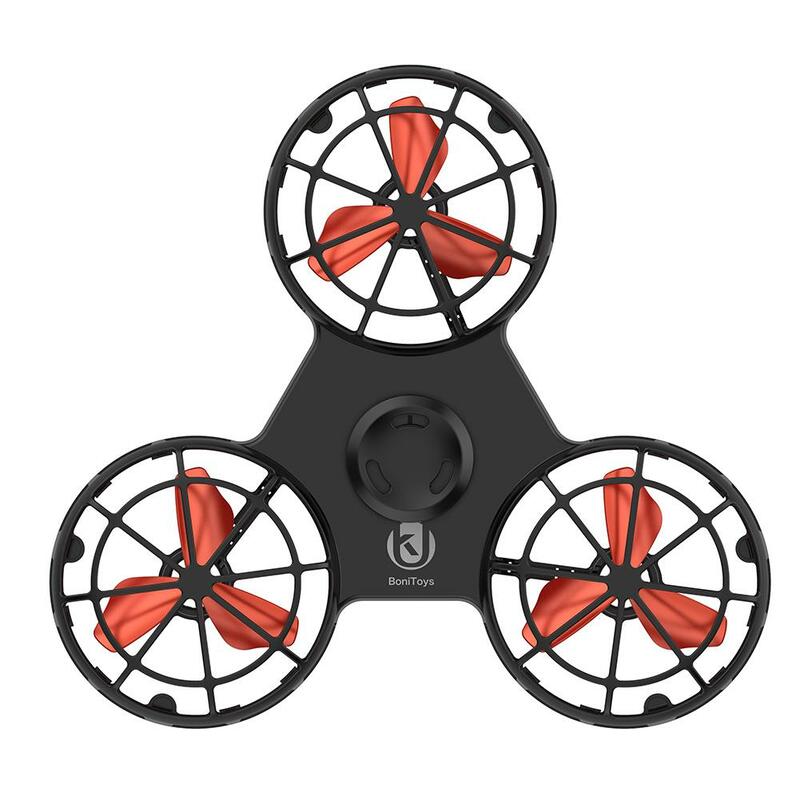 4 Flight Modes: This Uber Cool Flying Fidget Spinner comes with 4 flight modes , which gives the happiness and satisfaction while operating it. Low altitude mode: Switch on the device, Adjust the lift to minimum by pressing the button 2 until the led light will not flicker. Keep it horizontal and launch the device, it will be in a low altitude flight on the ground. Dive mode: Switch on the device, keep a 15 degree downwards angle and launch the device, the flying toys will be in a low altitude flight on the ground. Highly Durable and Shockproof : This flying fidget spinner will not hurt your finger, its highly durable and comes with shockproof design so that you can enjoy it to the fullest. 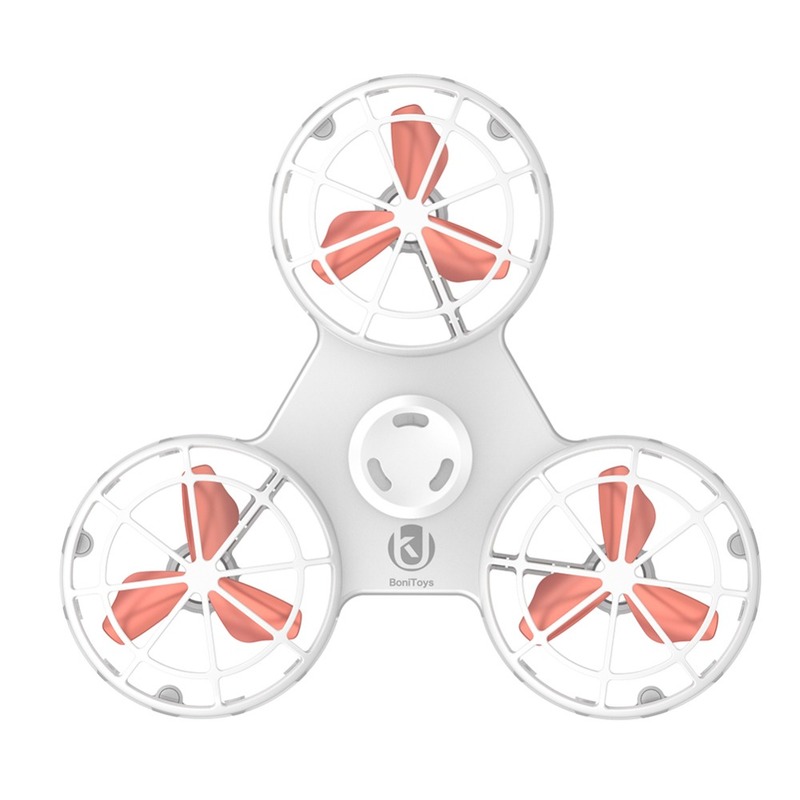 Hovering Funtionality: This electric fidget hovers in the air.It will never get lost and it will fly right into your hands. It will give you the coolness that personifies you and the fun you are seeking.